Documentation and SupportReleases Kiwi Release Notes 2017-04-22Major User Interface Improvements. TMMData is excited to announce enhancements to the User Interface (UI) of our system, the TMMData Foundation Platform. In the new UI, we've organized the functionality of the Foundation Platform into five distinct tools: Flow, File, Flare, Fix, Form. These tools allow you, the user, to access everything from one screen which will save time and clicks! 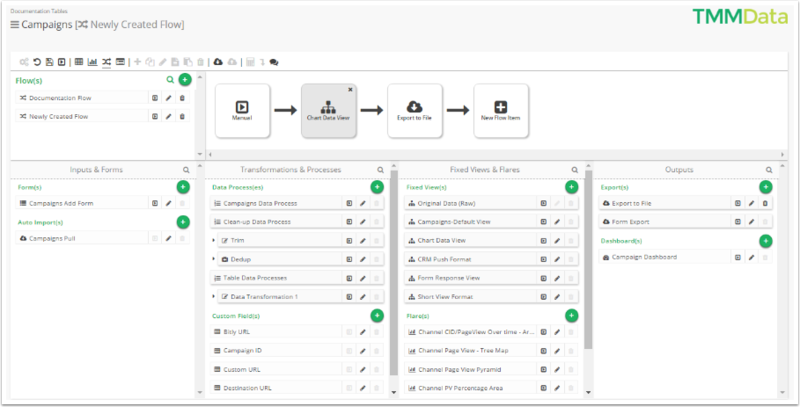 New Tool Flow streamlines workflows and simplifies navigation. Want to learn more about Flow? Click HERE to access all of the documentation! If you'd like to see a comparison of the previous interface and Flow? Click HERE to watch a video highlighting the changes! We removed the menu where you were able to Add Record, Copy Record(s), Edit Record(s), Edit as Text, Delete All Records, Record(s) to Text, Export Data, Import Data and Reset Grid. Now all of these actions are icons along the top of the table for quicker access and less clicking! Other portions of our file tool are the table setup, user permissions, and the table editor. If you'd like to see a comparison of the previous interface and File? Click HERE to watch a video highlighting the changes! The Flare tool is what was known as the charting portion of our platform. Not a lot has changed, we just made it easier for clients to access it and work within the tool. If you'd like to see a comparison of the previous interface and Flare? Click HERE to watch a video highlighting the changes! New Tool Fix Provides Instant Data Manipulation. The Fix tool does away with the Configuration modal with a more efficient interface, saving users time. When you open a table, the Fix Configurator also opens on the left of the table. Fix has been designed to provide immediate access to data changes, data prep, filter management and view management. If you'd like to see a comparison of the previous interface and Fix? Click HERE to watch a video highlighting the changes! New Tool Form is Still Exceptional. The Form tool will continue to work the same as it always has. 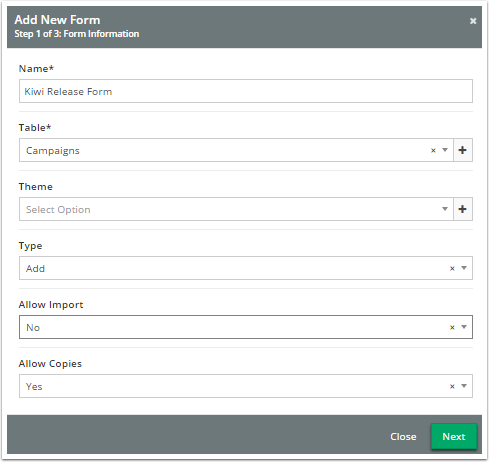 You will be able to continue to create, modify and use Forms without any adjustments. Most users will not notice significant changes. If you'd like to see a comparison of the previous interface and Form? Click HERE to watch a video highlighting the changes! Prev: Fix Tool now enables 'With this value' or 'Without this value' Filtering using multiple rows. Next: GUID Search Now Possible in Table Search.